I’m a big supporter of Environmental Health and also Human Rights. I support Donate Life America. 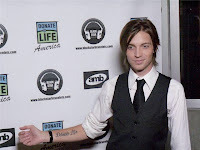 Every year I hold a concert called “Alex Band Donate Life Rocks” and all proceeds go to Donate Life. A lot of my fans have picked up on the charity and do things themselves to help out and raise money as well. 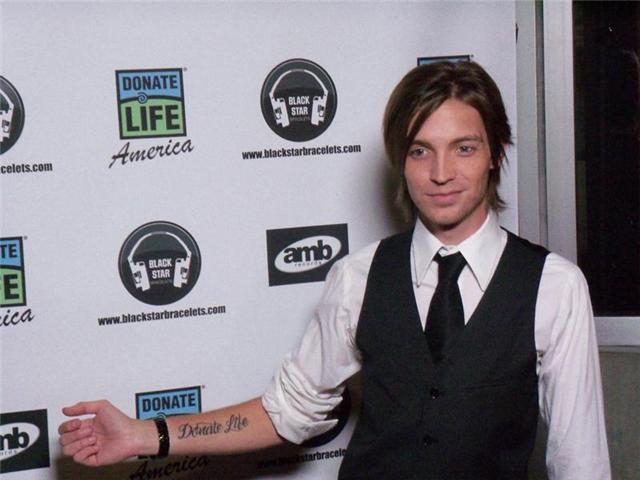 A portion of the proceeds from the sales of my bracelet line (www.blackstarbracelets.com) and Live DVD sales go to Donate Life, and that’s just the beginning. I plan to do much more for them while I start working the release of my first solo album in the next coming months. I have a passion for Donate Life because once I was introduced to it through a personal experience, I realized what a huge need our country has for organ donations. For whatever reason, there doesn’t seem to be a huge knowledge about organ donation like there is for other causes such as breast cancer and AIDS. Even with how many people are registered donors right now, tens of thousands die each year in need of organs. There is so much more we can do and so many people who haven’t been reached. I wanted to make a difference and having now seen first hand that I really am; I won’t stop until the job is done. It takes a few minutes of your time to register to be a donor, whether at your local DMV or on Donate Life’s website. You can end up saving so many people’s lives if something were to ever happen to you. It costs nothing, but truly is priceless for the recipients. Sign up, spread the word, donate life. Yes! I actually recently had Donate Life tattooed across my forearm in a beautifully hand designed font. I love this tattoo and wear it proudly. Being a walking advertisement for them brings new people to sign up every day. Yes! I wasn't registered for many years, and then when my friend was in the hospital waiting for a healthy liver, I decided any fears or reservations I had about being an organ donor weren't holding up. So I signed up online on the DMV website. Couldn't have been easier, and happy to know that I might save a life one day!